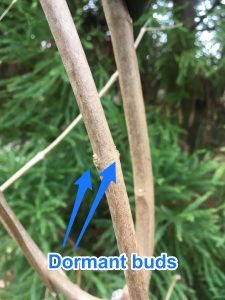 How to Prune Chaste Tree, Vitex agnus-castus - Surfing Hydrangea Nursery, Inc.
Now that the weather is cool and we’ve had a good hard frost, most shrubs have shed their leaves. If you like to do your pruning in the fall, it’s time to get started. I’ve been cleaning up our garden over the last little while, and decided to prune our Vitex the other day. It seemed like a good opportunity to review the best pruning practices for these great plants. Before making any cuts, make sure you have your objective in mind. 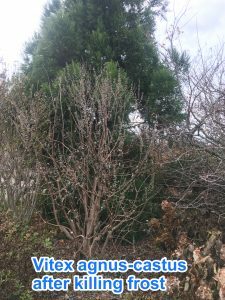 For Vitex, pruning is generally done to accomplish a few goals – keep the plant healthy and shapely, with a great show of flowers the upcoming year. First remove any dead, broken or whiskery twigs. Weak growth will not be able to support a flower or fill out the main framework, so it’s best to direct the plants energy into stronger branches. 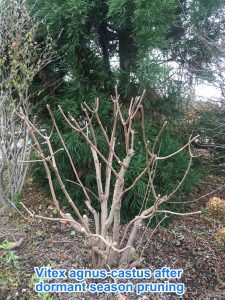 If there are any old branches in an area where new growth has begun to fill out the shrub, remove them right at ground level, in favor of the younger growth. Next, consider the size and shape you want the plant to be in the next growing season. 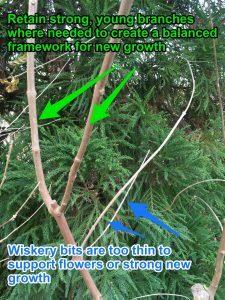 Generally, the shrub will be rounded when pruning is completed with a balanced framework of branches that grow up and outward from the base. Pruning cuts should be made just above a pair of buds. Dormant buds can be hard to recognize at first; they look like little scaly bumps on the smooth branches. Those buds will wake up next season and the new growth will have a huge flower on the tip in August. 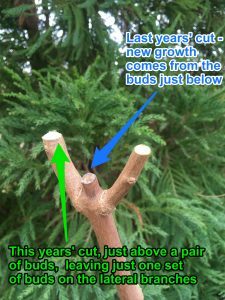 If you were happy with the size and shape of the plant this past season, use previous cuts as a guide, trimming back side shoots to a single set of buds where they emerge from a main branch. Most branches will have little “Y’s” at the top after this style of pruning. Over years of pruning this way, the tips of the branches where the pruning cuts are made will form pollards (where many stubs have accumulated from regrowth at that node year after year) When strong new growth no longer sprouts from the pollard, make a cut below, at the next set of buds, removing the pollard and allowing the plant to produce strong new stems. If you find that your plant is getting a little leggy and bare at the bottom, make a few cuts closer to the ground, to encourage new shoots to fill out the bottom. 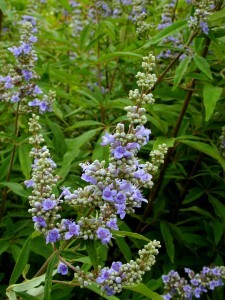 Vitex can also be grown as small multi-stem trees. In that case, remove all but a few trunks rising from the base, and prune the upper branches less, to form a canopy. Let us Quote your Job!